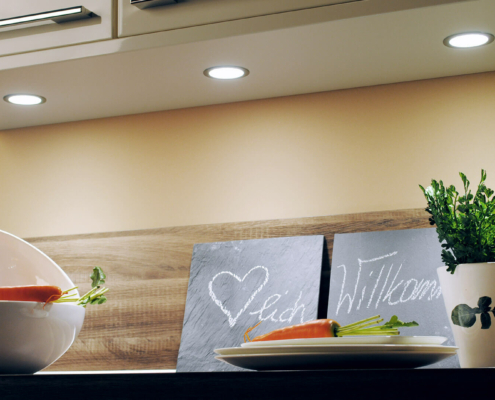 Getting the lighting right is key to giving your kitchen its own unique style and expressive power. 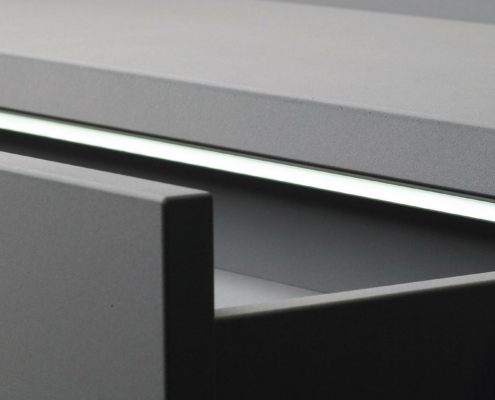 The use of modern LED technology offers completely new possibilities in terms of lighting design. 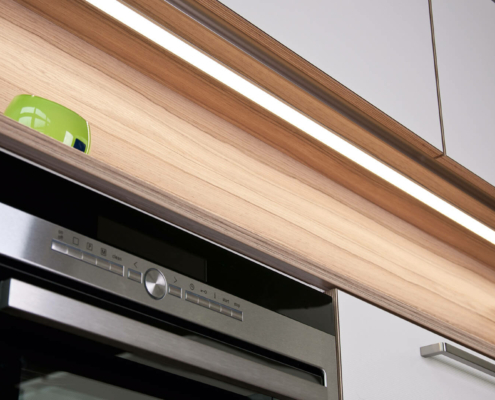 A sophisticated combination of mood lighting and work area lights will emphasise the clean lines and colours of a kitchen and give it that special something. 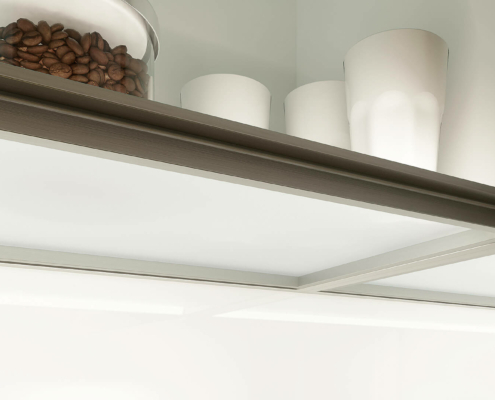 Our kitchens are equipped with innovative and timeless light fixtures and systems. They are engineered for demanding furniture manufacturers, designers andinterior designers. 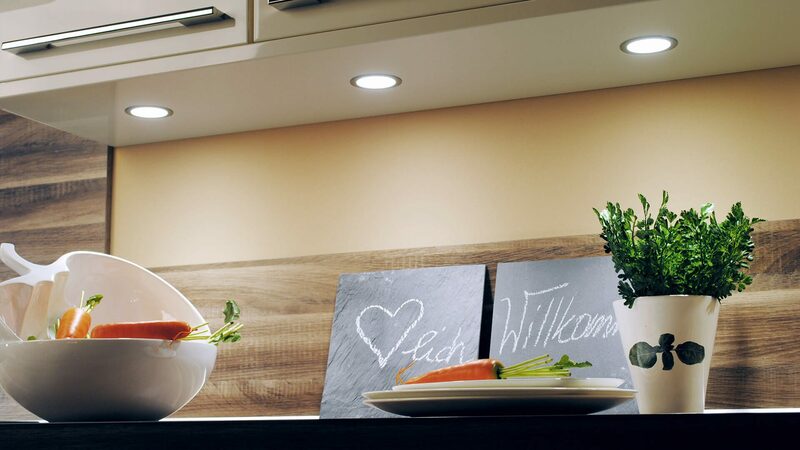 These universal lights convince with a modern style, quality and userfriendliness. All technical product components are skillfully manufactured in Germany and combined with electrical parts to create a light system. Glass shelf brackets: A glass shelf bracket helps to display object strikingly and has a high load capacity. 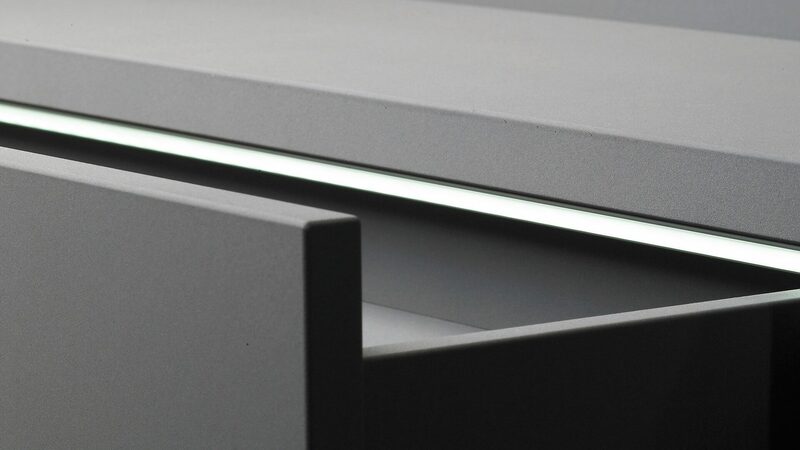 Specialty floor: Fitted with high-performance LEDs, the lighting system illuminates with one light source the cabinets inside as well as the working area at the same time. The aluminium frame hides all power cables and shines with its fascinating design. 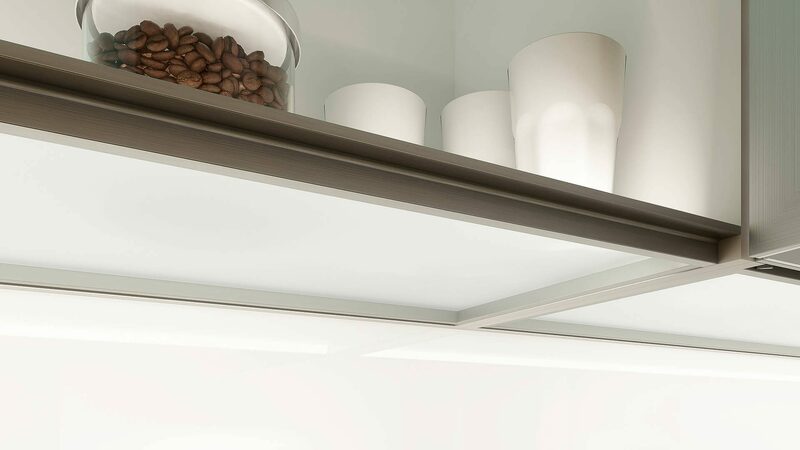 Light valance: Light profiles ( light strips) can be used for plinth- or display cabinet lighting or as a niche light fixture in the kitchen. 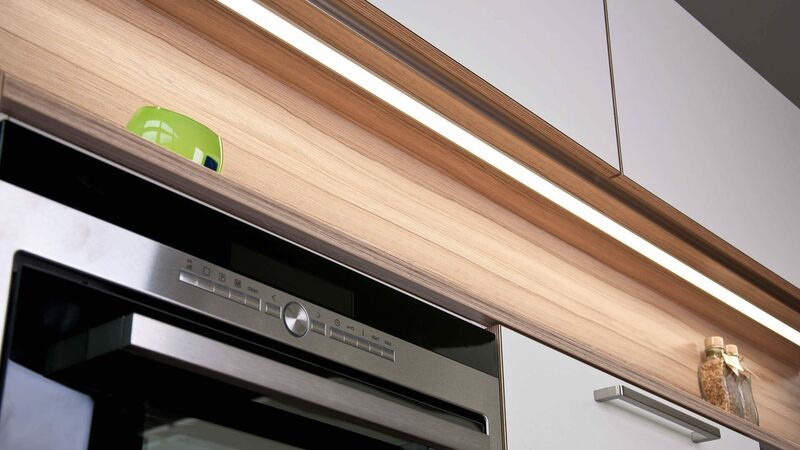 The light will be adjusted to meet the unique lighting requirements and to achieve an ideal and non-glare illumination. 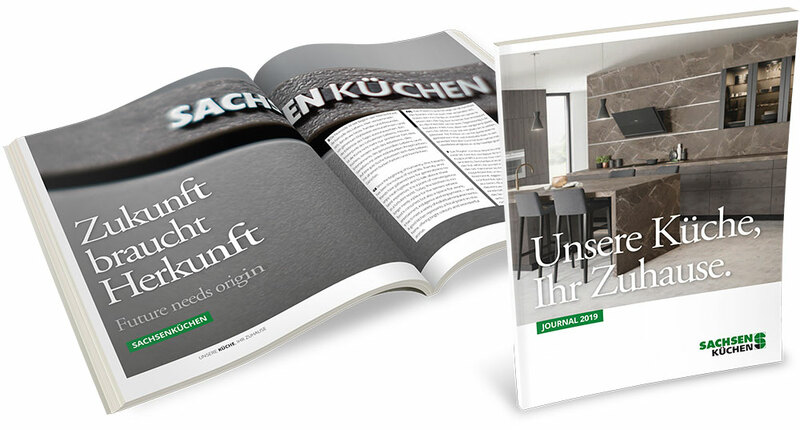 Our SACHSENKÜCHEN dealer will well advise you about kitchen lighting.